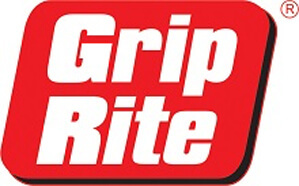 The Grip-Rite name represents quality and value to professional contractors on jobsites across North America, including the Caribbean. First introduced in 1975, Grip-Rite is now the top-selling brand of fasteners in America. The Grip-Rite family of products continues to grow, offering solutions to jobsite challenges and construction needs.